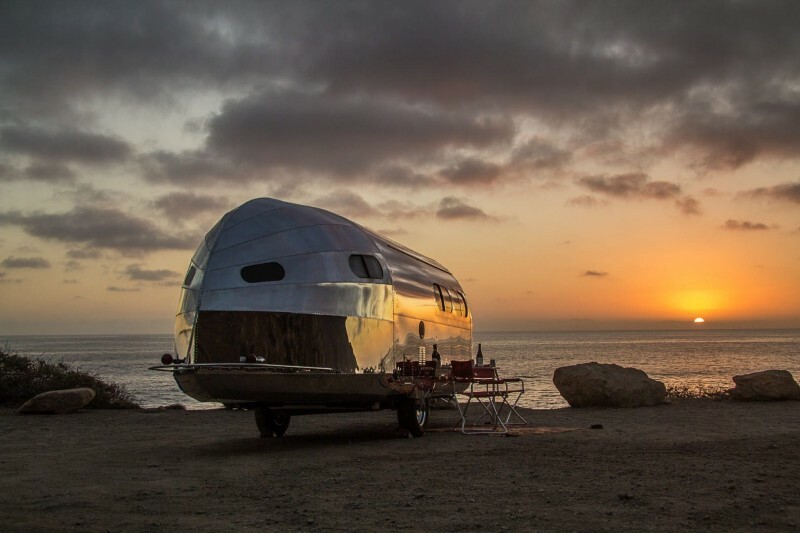 Luxury camper brand Bowlus is putting a little glimmer in glamping with its new Road Chief 26. But you’ll have to invest $185,000 to rough it in this shimmering metallic weekender. The newest aluminum-bodied luxury camper is the longest model from Bowlus; large enough to accommodate up to four campers. It has plenty of room for lounging and dining, and enough headroom for taller travelers to fit comfortably. The camper clearly has the classic Airstream vibe. The interiors are extremely understated, with top-notch fixtures, natural wood, and metal trim. It’s also sneakily luxurious, with heated floors, a gas hydronic heating system, continuous hot water, a small front porch, and a mobile router for staying connected while venturing through the great outdoors all part of its feature suite. The American Southwest serves as the style inspiration inside, and this classic aesthetic continues through to the private master bedroom; bright, and marvelously uncomplicated. Travelers can choose to sleep on two twin beds or can convert the bed into a single king. The bathroom features an individual toilet and shower room; in the main living space, guests will find two convertible lounge spaces that can be adjusted for use as sofas, beds, or dining areas. The Road Chief 26 is compatible with a number of mid- and full-size SUVs and trucks.